Rory McGovern was lucky enough not only to go to college with her childhood celebrity crush, but to end up marrying him! Years later, Blake and Rory are nearly 40, have two kids, and are still married. However, Blake’s acting career has moved from great potential to less than infrequent; and the bills are piling up while the insurance situation becomes tenuous. Blake decides he needs space and Rory moves from freelance to full time. Rory’s new bosses are two just graduated twenty-somethings who speak in abbreviations and code that Rory isn’t sure amount to coherent English. Rory’s working in an internet start-up focused on luxury style for toddlers, but she is the only one in the whole office with kids. Emma McLaughlin and Nicola Kraus’ new novel, How to be a Grown-Up is a funny, yet insightful adventure. McLaughlin and Kraus co-wrote The Nanny Diaries, and How to be a Grown-Up definitely is able to fill such big shoes. Even after two kids and more than a decade out of college, Rory doesn’t feel like an adult, which only makes her more relatable. Rory doesn’t always handle life’s curves with the most grace, creating a funny yet realistic (ish) story. 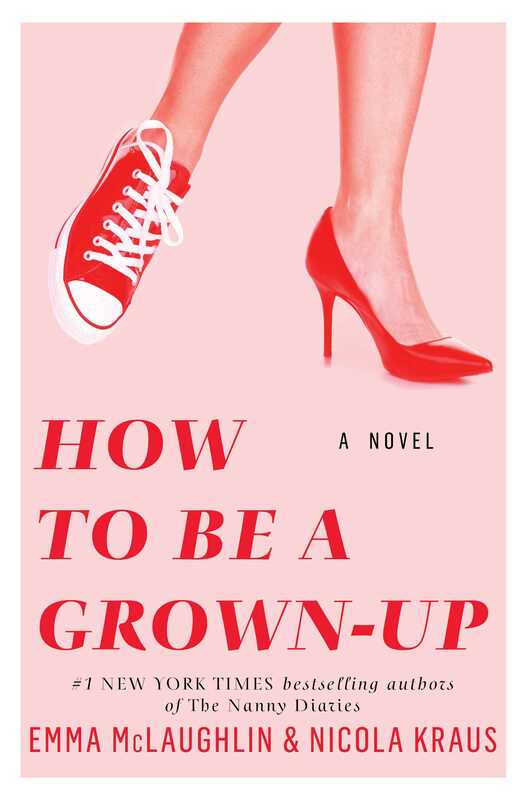 How to be a Grown-Up reads similar to a coming-of-age story, but for those of us who are still trying to get our lives together. Rory rolling with the punches (and sometimes being taken out them) of life to find herself and what she really needs in life is enlightening and inspiring. This a great read light read, especially for anyone still trying to discover How to be a Grown-Up.